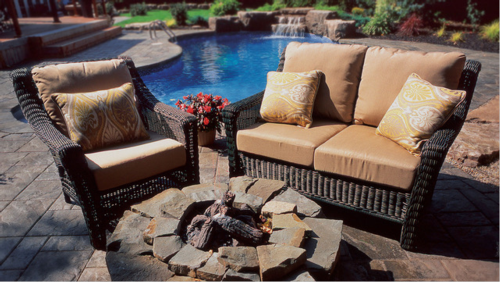 Kelsey 4pc Patio Set : 2 Chairs, Loveseat and a Coffee Table with Sunbrella cushions. Brand New in Box. (Design cushions not included) See store for detials.